Achieving Proficiency: Quotations And Sayings. A boy's will is the wind's will. (A proverb from Lapland). In my opinion, this proverb means that if someone wants something very much, the universe conspires to help them. I totally agree with this, since I also firmly believe that if you do your best to achieve something that really matters to you, in some mysterious way you finally get it, after you have overcome many difficulties of cource. To sum up, if you have a dream, try hard to fulfill it and never give up. Although,I do not understand these kinds of things much,I agree with you and I believe that the effort is the key to success!! I can see your point but I personally believe that everything is about possiblities.Working hard just raises the possiblities of your success.Even if they work extremely hard some people still don't achieve their goals just because of other factors which no one's mind can comprehend...yet. Well,I don't believe that anyone who will work hard and try to achieve their goals will be left unsatisfied in the end. Hey guys, nice discussion! Yes, effort and perspirations are the some of the secret ingredients of success; yet, luck could be another! All this comes down to the fact that if you work hard, luck will have no other choice one day but to be on your side! 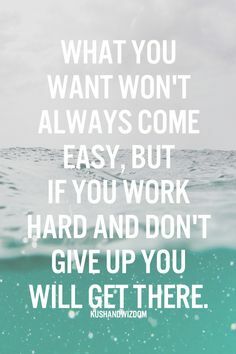 The latter is true for your ECPE exams- diligence will do the trick!